Fifth Avenue is one of the most prestigious boulevards in the world. World famous residents ranging from actors, to politicians to billionaires have resided in the very few apartments this avenue has to offer. The allure is a mix of large apartments that were built almost a century ago, mixed with park views, exclusivity and decadence. Forbes recently named the 10065 neighborhood the most expensive zip code in America and it makes sense, here's why. Three out of the five most expensive 5th Avenue buildings on the Upper East Side are located in this zip code. In our search for the most expensive buildings of them all, I visited streeteasy.com and manually searched for the ‘average recorded sales price’ of 76 residential buildings stretching from 110th street to 57th street. I chose ‘average recorded sales price’ instead of ‘price per square foot’ because most of the buildings in the area are coops that do not publish their apartment’s square footage. Here’s what I found… [caption id="attachment_13478" align="alignleft" width="270"] 820 5th Avenue[/caption] 820 5th Avenue $36,500,000/average recorded price 820 5th Ave is supposedly one of the toughest buildings on 5th Avenue to get approved by. Rumor has it that some of the most prominent names in the city from Perlman to Valentino were turned down by the buildings board. 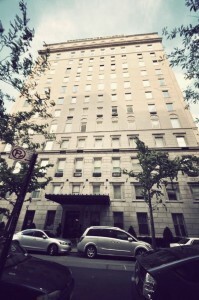 Considering there are 13 floors with only 12 apartments, its exclusivity extends beyond the typical 5th Ave building. Apartments here take up full floors, are five bedrooms +, feature foyers spanning over 40 feet in length and have jaw dropping views of Central Park and the Zoo. 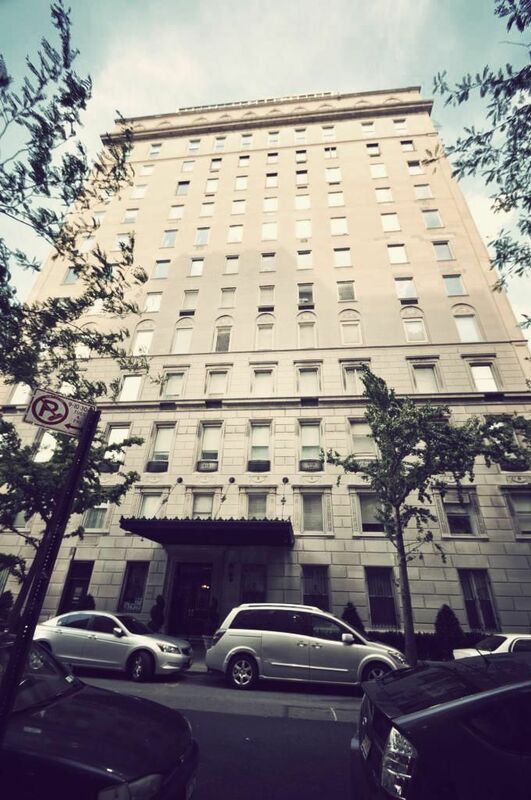 [caption id="attachment_13479" align="alignleft" width="270"] 834 5th Avenue[/caption] 834 5th Avenue $26,504,000/average recorded price Apartments in 820 5th Ave might cost $10,000,000 more on average but the roster of residents in this building probably tops any other in Manhattan. Past and current residents include Casey Johnson, of the Johnson & Johnson fortune, Frank Jay Gould, Charles Schwab, Rupert Murdoch and Laurence Rockefeller. This building stands 16 stories high and has 24 apartments, many of which are duplexes. Apartments are characterized by large spaces for entertaining, ceilings heights of eleven feet or grater, and apartment sizes that range from 4,000 square feet to 12,000 square feet. [caption id="attachment_13477" align="alignleft" width="139"] 810 5th avenue[/caption] 810 5th Avenue $25,290,000/average recorded price Located on the northeast corner of 62nd Street, this building was once the residence of Nelson A. Rockefeller, Richard M. Nixon, and Charles Bronfman. 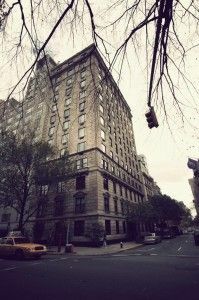 Apartments are characterized by high ceilings that stand 11-foot high, enormous dining and living spaces, many of which over look Central Park, and wood burning fireplaces throughout the units. 810 5th Ave stands 13-stories high and contains 12 apartments, 10 of them being full-floor or multi-floor residences. [caption id="attachment_13481" align="alignleft" width="139"] 950 5th Avenue[/caption] 950 5th Avenue $23,564,000/average recorded price Located between 76th and 77th Street, 950 5th Avenue has had its roster of Bachelors and Tycoons. Publisher Mort Zuckerman lives here alone and so does Robert Hurst. Lowes Hotel CEO Jonathan Tisch and former Tyco head Dennis Kozlowski were also single when they owned here. The building is 14 stories high and only has 9 units some of which may have been combined over the years. Many of the apartments are duplexes and have pre-war characteristics that include high ceilings and multiple fireplaces. 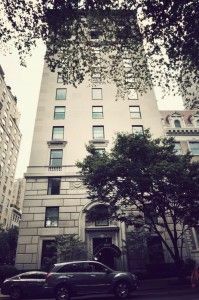 [caption id="attachment_13480" align="alignleft" width="139"] 927 5th Avenue[/caption] 927 5th Avenue $22,040,000/average recorded price Built in 1917, this private limestone covered building only has 12 apartments across 12 floors. Apartments are characterized by private elevator landings that lead to large foyers spanning as much as 50-feet in length. The building used to be home to a couple of red-tailed hawks who took residence at the building until the coops board president, Real Estate mogul Richard Cohen, evicted them. Other past and current residents include Mary Tyler Moore, Paula Zahn, and several Wall Street big shots. 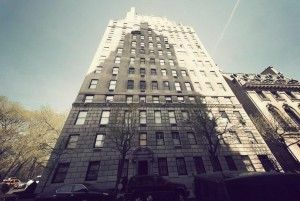 This guest blog post was written by Ariel Dagan, an agent with Keller Williams NYC, who specializes in Upper East Side apartments. Throughout his tenure as a real estate agent, Dagan has sold numerous high end luxury apartments in New York City. 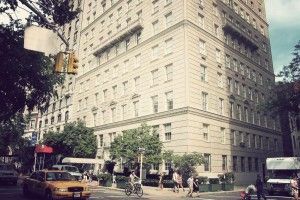 As a native Upper East Side resident, he has become very familiar with 5th Avenue apartment buildings.